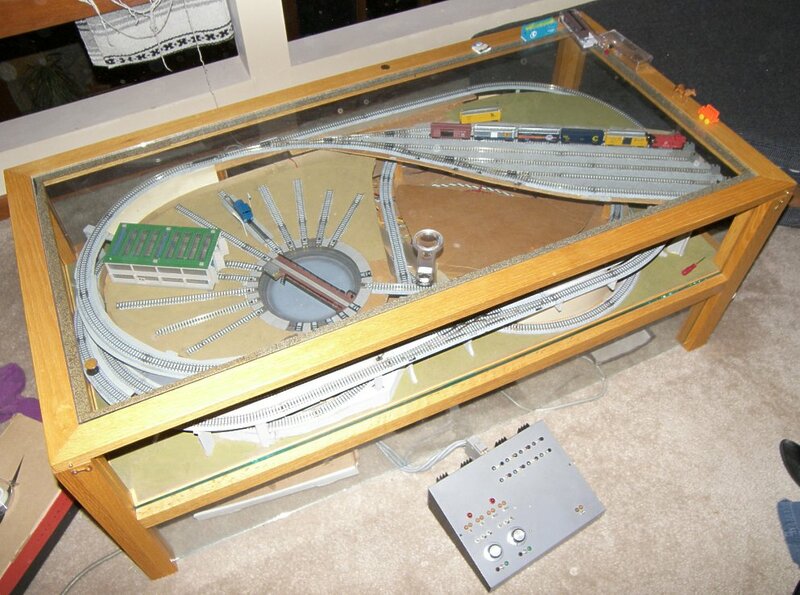 The photos on this page show my N-gauge model railroad that I built inside a coffee table. 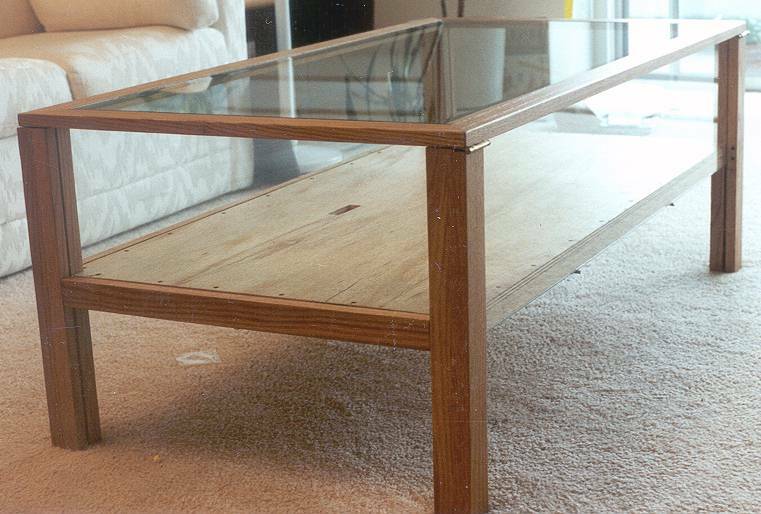 I built the table with glass on all four sides and the top. 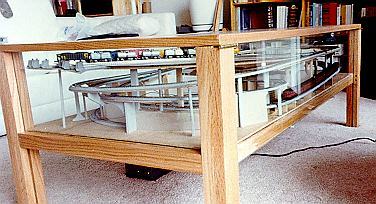 The top hinges up and the glass on each side slides down for access to the train in the unlikely event of a derailment. 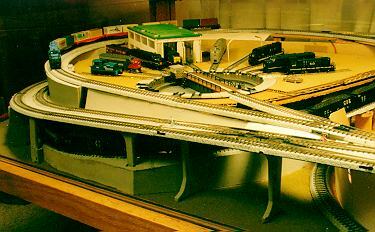 The track is Kato Unitrack with powered turnouts (switches). 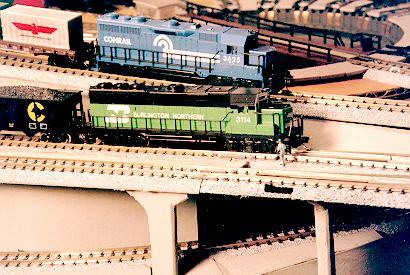 There's 65 feet of track in the entire layout including the 6 track stub-end yard. There are two independant loops that connect together at a double crossing to form a folded figure eight. 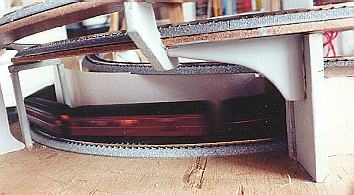 There is also a motorized turntable. 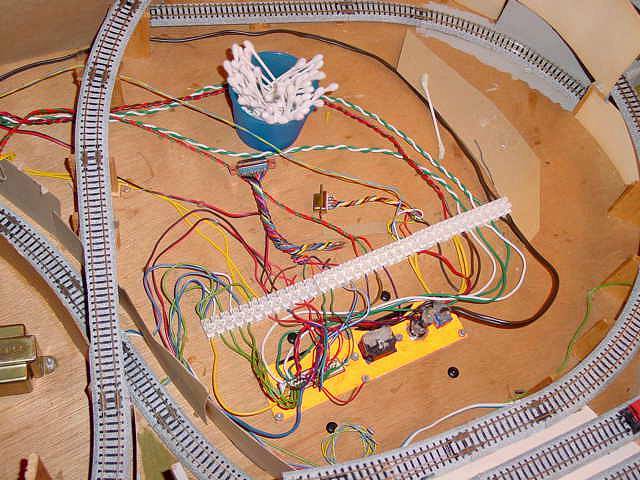 All of the turnouts, the turntable and the lighting are controled from a panel that is connected to the table by a cable. I built two transistor throttle units (with pulse and momentum controls) into the control panel. The track is divided into four blocks each of which can be assigned to either throttle. All of the power supplies are inside the table. You are visitor number: since October 7, 1997.